One of the most important preconditions for safe and comfortable driving are those summer tyres, which have good performance values ​​for passenger cars. The tyres must withstand high loads, should contribute to a low fuel consumption and ensure driving comfort on any road. Therefore set predictive motorists always on quality summer tyre. However low they should be. Because when it gets warmer and belong to snow and frost alarm the past, it is for many car owners at the time, new car buying summer tyres. Because during the hot months guarantee their weather-optimized composition and profile the necessary traction to warm and dry surfaces. So every journey is clearly gaining security because reliable strengths allows precise control. So should the owner of a passenger car summer tyres always attach directly after the end of the winter season (rule of thumb: at Easter). Glad quality car summer tyres nowadays are getting low. Most manufacturers lead tyres for the summer season in almost all sizes, price and performance classes. Summer tyres: low and high quality at the same time? tyres that are available on the German and European market have to undergo pre-market approval to strict quality controls. Even the pre-production prototypes are through rigorous testing before they get into production. This process ensures the highest quality, regardless of which tyre the buyer chooses. Add to that the tyre market is worldwide sharply contested today. 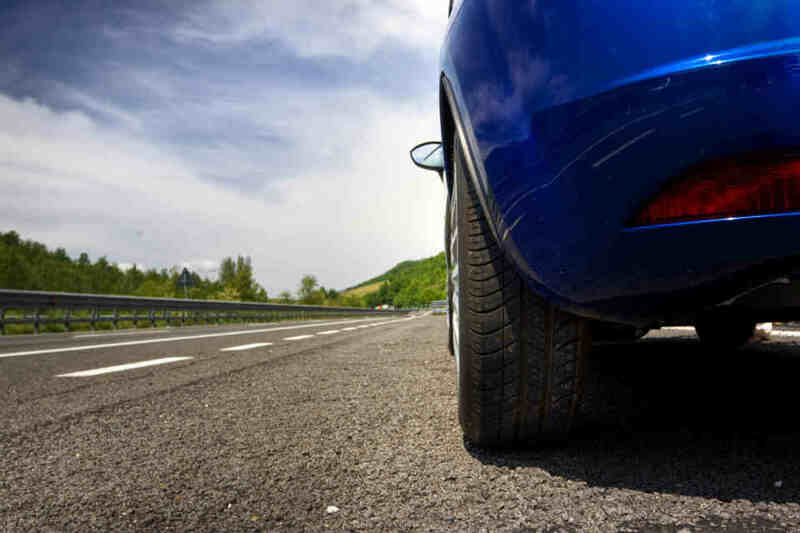 This means for motorists that summer tyres can be both low and high quality. Good news for those who want to travel both safe and comfortable and inexpensive in the summer. For a passenger car summer tyres to buy, independent and free product and price comparison portals can quickly take advantage of convenient and safe. Whether Goodyear , Pirelli , Michelin or Continental , they all rely on the latest and most secure technologies in the production of tyres for cars. Despite some large deviations in some brands all manufacturers must adhere to certain rules. Particularly important for the quality and capabilities of the car summer tyres is the material from which they are made. It is used in manufacture of Sommerpneus mostly on harder materials. This allows good properties at high temperatures. It is also a reason why summer tyres slowly wears away at higher speeds than is the case with winter tyres is. The special profile enables the tyres for the summer season a good grip on hot asphalt, but also stable and quiet location of the vehicle, if the hydroplaning occurs. So summer tyres to buy does not mean to surrender the safety and quality levels. Quite the opposite: Many cheap summer tyres got in Tests top ratings. Car summer tyres can be an affordable price - and through an online comparison . This is recommended for all car owners who rely on a comfortable and safe driving experience and do not want to spend much money. Thanks to the latest development technologies and many tyre manufacturers this is now very easy to reach. What makes summer tyres? How much profile needs a summer tyre? How do I know how old my tyres are? And how does actually distinguish between the different manufacturers? Our large Reifen.de summer tyre guide gives answers to all these questions - and many more. Catch up about summer tyres! The summer is coming - the time to change tyres! But is it really necessary to raise new tyres in summer? Do not even the old winter tyres? Finally, the summer does not make special demands on the tyres. At least, many think, and changing tyres in spring save easily. But are the must strongly opposed. There may be no "summer tyres compulsory" - still needs a car tyre in the summer with very different conditions occur right as in the cold season. The realization of these rights is already evident before material that is optimized for very specific climatic conditions. Up in the future tyres from renewable resources have prevailed, there are car and motorcycle tyres for the most part made ​​of rubber and petroleum. Depending on how the rubber compound is selected, the tyre either at low temperatures remains resilient, or it also keeps warm summer weather good standing. How exactly does change the tyre characteristics, when it gets warmer? If the rubber compound as in usual winter tyres rather soft, increases when the indicator rises in the thermometer, and the rolling resistance. This in turn leads to higher fuel consumption because of material and size of the tyre and the vehicle fuel consumption is a direct link. Who dispensed summer tyres, are the saved when purchasing tyres money so quickly at the pump again. The greater flexing work to be made ​​by the tyre, it is also much faster wear exposed. It makes sense, therefore, is to store the winter tyres in the spring until the next fall. They last much longer than if they still have to go through the whole summer, at temperatures, for their soft rubber compound is simply not designed. Much more important than the financial aspect is the question of security. Because the harder material of a summer tyre guarantees him a greater stability and a firmer grip, so a better grip. That makes not least the brakes felt: Up to 16 meters longer needed a winter tyre compared to a summer tyre to get on dry roads to a standstill. In a critical situation, are in demand in the fast response and a sudden stop, this difference may be possibly lifesaving. To help the summer tyres here comes his particular profile. And not just at the shorter stopping distance: even in wet conditions a high quality tyre should not lose traction. This applies not only for the cold season. Finally, at a midsummer thunderstorm without warning a few liters from heaven - a good tyre you should not let you down in such a situation. Especially with such a sudden summer storm can quickly namely to aquaplaning come. To circumvent this risk, the profile of a summer tyre is optimized for the so-called wiper edge effect back. Here, the water is pushed away like a windscreen wiper under the tyre. By the tread grooves shed water away from the tread surface to the outside. The better the wiper edge effect works in a tyre, the higher its aquaplaning reserves. What profile should a summer tyre actually have? Just like in the winter also applies to summer tyres Traffic Regulations, a minimum tread depth of 1.6 millimeters - this is not reached, the tyre must be definitely changed. Otherwise, there is a fine, at worst, a point in Flensburg. But how do I know if my tyres has already reached the minimum tread depth? It's simple: Each tyre carries a so-called wear indicator. The sign is located at the top of the sidewall and consists of small triangles and the symbol for TWI Tread Wear Indicator. Once here continuous webs can be seen, it is bald. By now so a new tyre must be mounted. However, experts advise unanimously to not wait even with summer tyres until the legal minimum tread depth is reached. The reason: the more worn the profile, the worse is the grip. Therefore Summer tyres should be changed already at a residual profile of 3 millimeters. How can I now but to determine whether the tyres still have plenty of tread? The TWI no help here because it only shows the legal minimum tread depth of 1.6 millimeters. However, there are profile gauges that can be borrowed at any gas station. In a pinch, also helps a simple euro coin: If the edge covering the tyre has sufficient tread. He is easily broken. 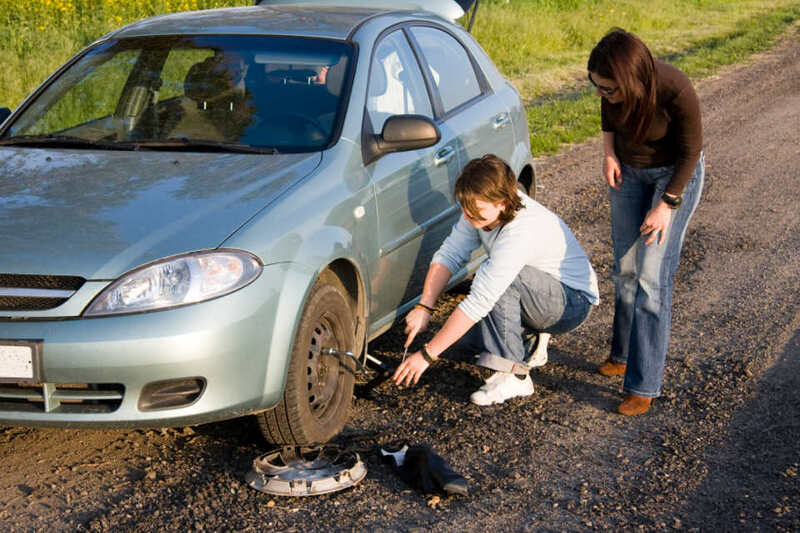 It is recommended that the approximately every two weeks to check tyre pressure. Loses the tyre constant air, the reason should be investigated. Too low or too high tyre pressure is actually a frequent cause of accidents, there wrongly inflated tyres carry faster damage. The entyre tyre of the vehicle will be renewed. From mixed tyres of any kind is strongly discouraged. Forbidden is indeed only the installation of tyres of different types, that is, the combination of radial and bias tyres. Experts recommend that combine equal as possible tyres with the same tread depth, and to renew in doubt the entyre set, or at least in each axis. The tyre is too old: tyres gradually lose quality, even if they are not driven and thus only exposed to minimal wear. Is summer tyres in use, he keeps about three and a half years. Furthermore, for a tyre change workshop does not have to be consulted. Provided that the new tyres are already mounted on an independent set of wheels, namely the whole wheel can be exchanged. Such a wheel change is carried out relatively with proper guidance and a few simple tools quickly and easily themselves. How do I know the age of the tyres? How can the age of a tyre notice at all? Again, further helps a closer look at the tyre. At least one of the tyre side we find the DOT number, a long sequence of numbers and letters. The DOT number reveals the expert view of manufacture and date of the tyre. 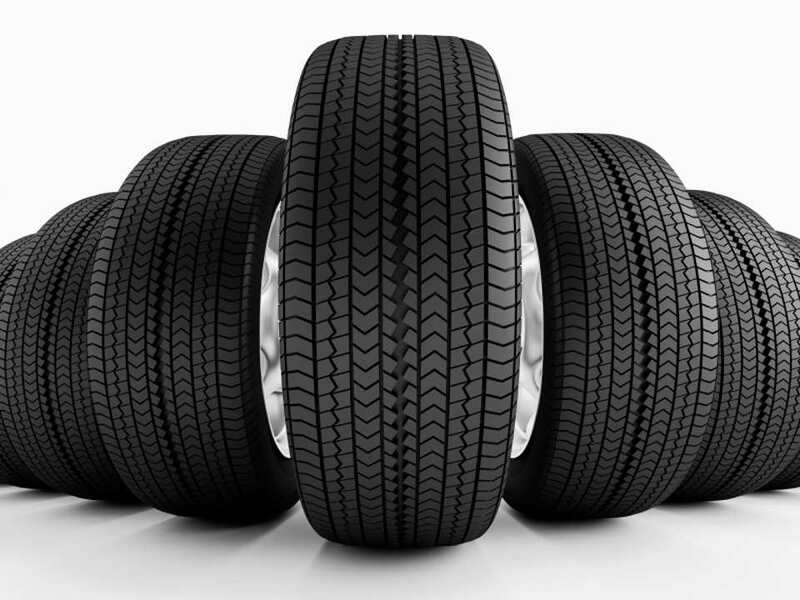 are the last four digits of importance for the tyres age, they are usually take pride of place. They bear witness to the calendar week and year of manufacture can be read. Thus it can be fairly accurately determined how old a tyre is. From five years, incidentally, himself a never of used tyres no longer considered new. The two circled numbers at the end of the DOT number available for week and year of manufacture. Used tyres are as a rule cheaper than mint condition, but the savings often at the expense of safety. Summer tyres are usually longer in use as winter tyres, thus they are more acuh wear exposed. If you want to try, with the purchase of a used tyre for summer to save, should look closely whether the tyre is in good condition. 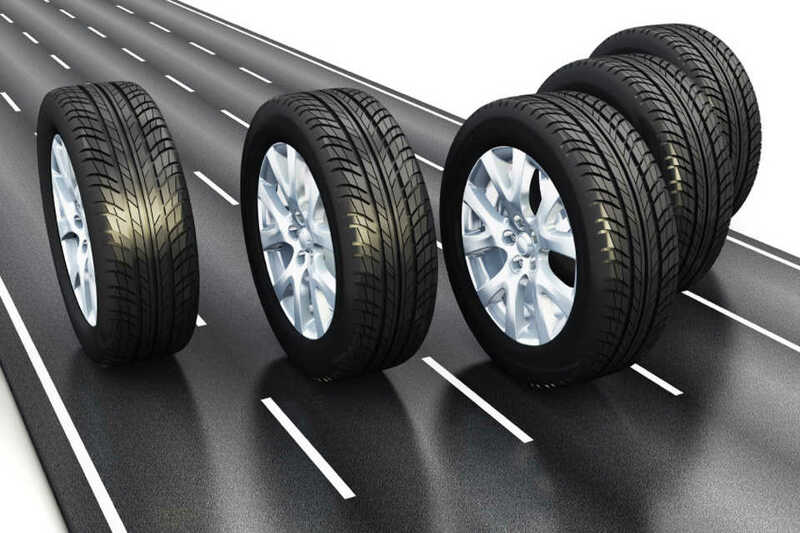 Another way to save money when purchasing tyres, is the choice of a retreaded tyre. These are produced from used tyres by the tread of the carcass - is released and exchanged for a new - the "skeleton". Even with this method, as shown by independent tests, to have significant loss of quality. Retreaded tyres are "retreaded" with an R or the term or "retreaded (ed)" in. What is being tested in a tyre test at all? tyre tests are carried out by different instances. Firstly, test organizations and associations such as the ADAC in Germany, the ÖAMTC in Austria or GTÜ every spring the new summer tyres from different manufacturers. On the other also leading journals such as the Auto Motor Sport or the car image on their own tests. Specialized press organs such as the Auto Bild Sportscars< or Off Road also test tyres that are designed for sports cars, vans, SUVs and other special vehicles. Of course, each auditor sets its own criteria based. However, there are some basic tests that should be every good summer tyres. This includes in any event the brake test, the part is both wet and dry roads each tyre tests. The shorter the braking distance, the better cuts of the tyres from here. Even the steering behavior is evaluated separately both in the wet as in the dry. In addition, the aquaplaning reserves, of which we spoke in connection with the tyre tread, is crucial. Finally, also the rolling resistance and fuel consumption on building measured. The wear resistance also plays a role in the review. Last flows and external and usually also the internal noise in the overall grade with. A concise overview of the properties of a tyre are, incidentally, more recently, the each tyre buying enclosed EU tyre label. It provides information about pass-by noise, energy efficiency and wet grip of the tyre. Especially with summer tyres, these three are the key evaluation criteria. Who wants to know, however, should still continue to use the test reports - in particular, as these are ideally carried out by independent bodies. If they want to have in any case a safe ride advises Reifen.de you to access to one of the test winner Summer tyres. For the top tyre the top grade of 5 stars are awarded in all 21 Tets and we can only wish you a good trip. How do the tyre manufacturers? Continental , Michelin , Fulda , Toyo : What are the differences between the various tyre manufacturers ? And that produce the best tyre? Packages can be this question, of course, do not answer. Precisely for this reason are finally regularly new tyres tested - to every year to find the best summer tyres again. However, it can make a certain tendency. Considering all tyre tests at a glance, usually cut the more expensive tyres renowned manufacturers did better than their cheaper competitors. Can be roughly the tyre market into three segments divide: Premium tyres, brand name tyres and budget tyres. The premium manufacturers traditionally include five major brands: Continental, Pirelli, Michelin, Bridgestone and Goodyear. Nokian and Yokohama have however long open to these five giants. In addition, the belonging to the Goodyear Dunlop Group brand can be counted among the manufacturers of premium tyres.
. Cheap tyres, for example, the brand Toyo, usually end up with more tests in the lower ranks - but that is not always the case. Again and again it happens that even a budget tyres of the testers also scored. Which brand is the best? The market can be roughly divided into three segments. With the tyre from midfield as z. B. manufacturers Vredestein or Hankook offer, you can go wrong usually nothing. The premium manufacturers have usually one slightly cheaper second brand in the assortment, such. B. Continental Barum or Goodyear Fulda. Basically, however, it is always recommended that the latest test results to be considered, because it can always be surprises. Although premium tyres are usually the best products, but not always is expensive automatically better. With a price of about one hundred euros per tyre but should be at least expected. With a little luck and skilful Price comparison there often is rewarded, however, already a premium model that has cleared in the tests. Which tyre dimensions I need for my car? Is using current test results a good summer tyre model found an important question needs to be clarified before ordering more: What dimensions should the tyres actually have? After all, he is also attached to the vehicle. There are two ways to determine the appropriate tyre sizes: on the registration papers or the tyre itself Each tyre wearing. tyre designation. On hand this embossed on the sidewall of the tyre letter and number sequence, the dimensions of the tyre can be read. Are relevant for the first three digits. Enter tyre width in millimeters, profile cross section in percent and rim diameter in inches. The dimensions can be gleaned from the tyre wall. An example: The tyre dimension 175/65 R14 is common in city-compatible small cars such as the VW Polo, the Ford Fiesta, the Fiat 500 or the Opel Corsa. What now therefore, the individual figures? The tyre is 175 millimeters wide, which reveals the first number. The profile cross-section amounts to 65% - in other words, the height of the edge is 65% of the width of the tread. The rim diameter in our sample tyre measures 14 inches. The letter R in front of the customs declaration represents the type of the carcass, in this case, the radial type. In addition to these details for the tyre size tyre label also gives information about the bearing capacity - and the speed index. Who does not want to read from an old tyre, the required tyre dimensions, can look up the information in the vehicle documents. In the old vehicle registration they can be found at paragraphs 20 to 23, in the new registration certificate, Part I under Paragraph 15. Alternatively, is also the EC certificate of conformity, the customer when buying a new car by the vehicle manufacturer or handed traders get information. Here even all permissible tyre sizes are listed, while only mentioned in the registration certificate a. Now the summer is coming - with our comprehensive advice and technically competent information around the topic Summer tyres you and your car are well prepared for the great time of the year.